I heard something startling from him recently. 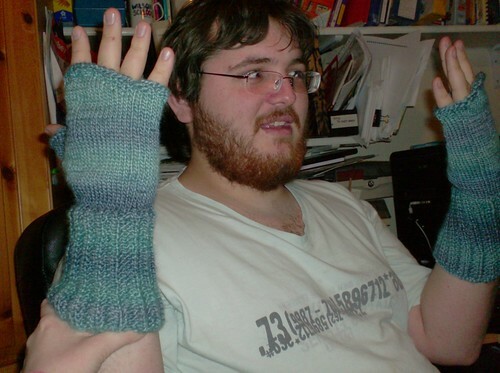 Lewis says (4:50 PM): I have decided that when I'm over your's, I'm going to let you teach me to knit. So, come spring break (only two weeks! ), the boy is gonna learn to knit. Mere words cannot express my astonishment and excitement.